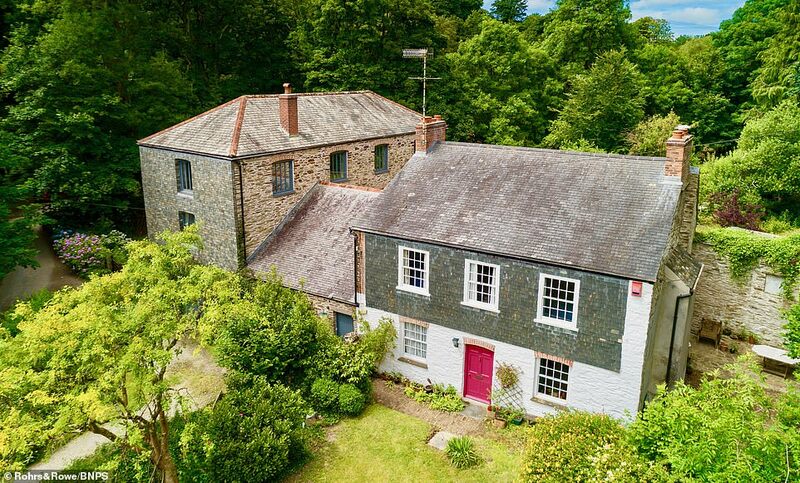 A former watermill in Cornwall that was saved from dereliction and restored into a seven-bed home has gone on the market for £1million. 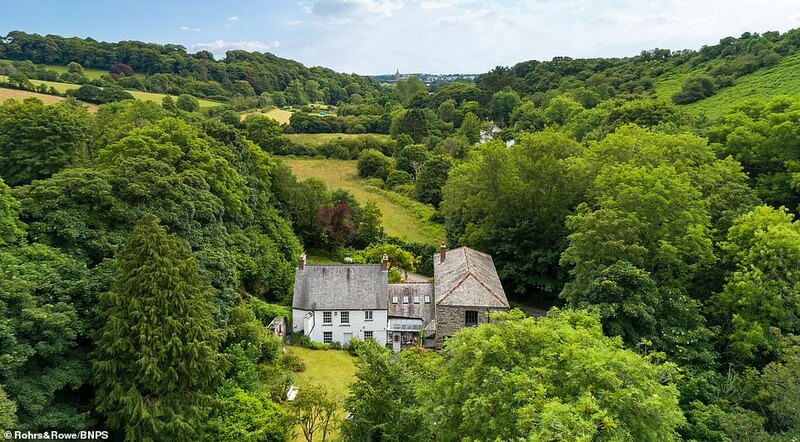 Scawswater Mill was built in around 1850 and sits in the quiet hamlet of Idless, a popular location for people who want to be close to the amenities of Truro, Cornwall’s only city, while enjoying country life. The current owners’ family bought it in 1958 when it was in a semi-derelict state and they converted it into a charming home 20 years ago. 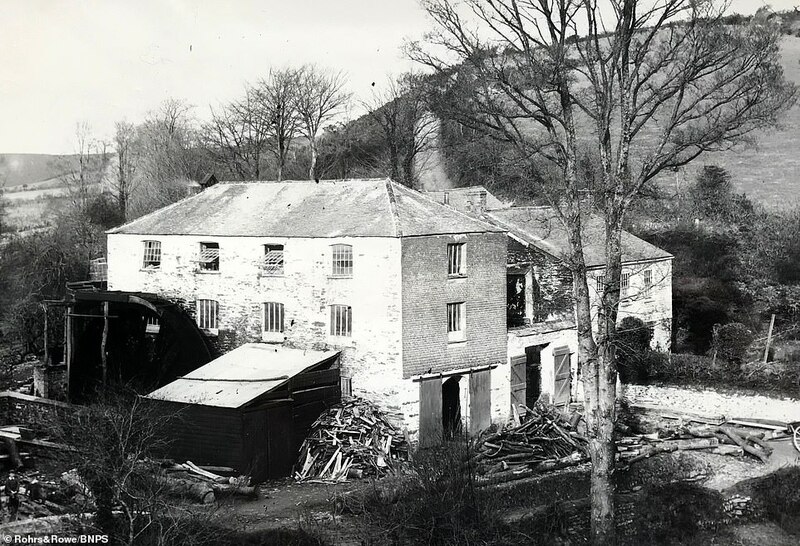 There has been a mill on site since about the 1500s, although the current building is believed to date from about 1850. 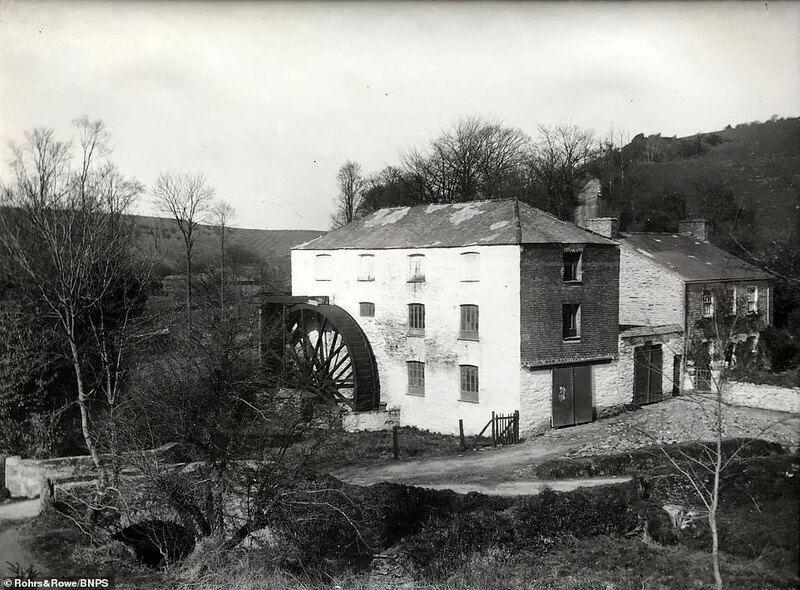 There is also the remains of a blowing house, used in the production of tin, and to the side of the mill the stones that formed the structure for the old water wheel remain in place. 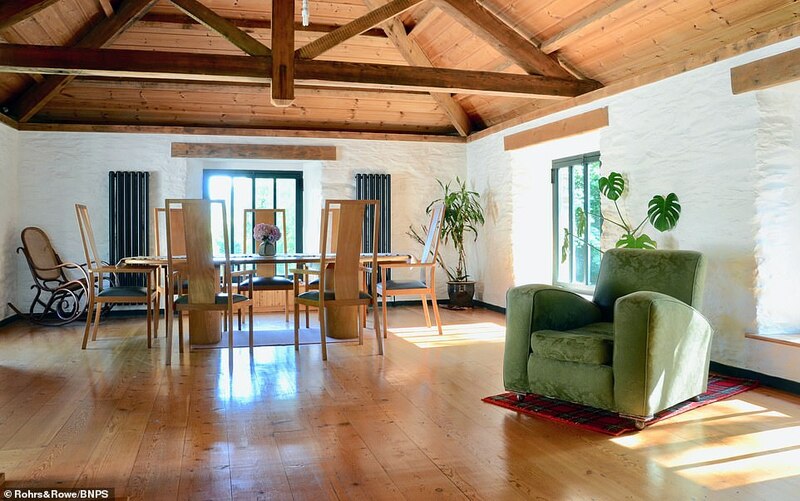 The Grade II listed property is made up of the miller’s house, which is linked by a wonderful vaulted room to the former mill building itself. 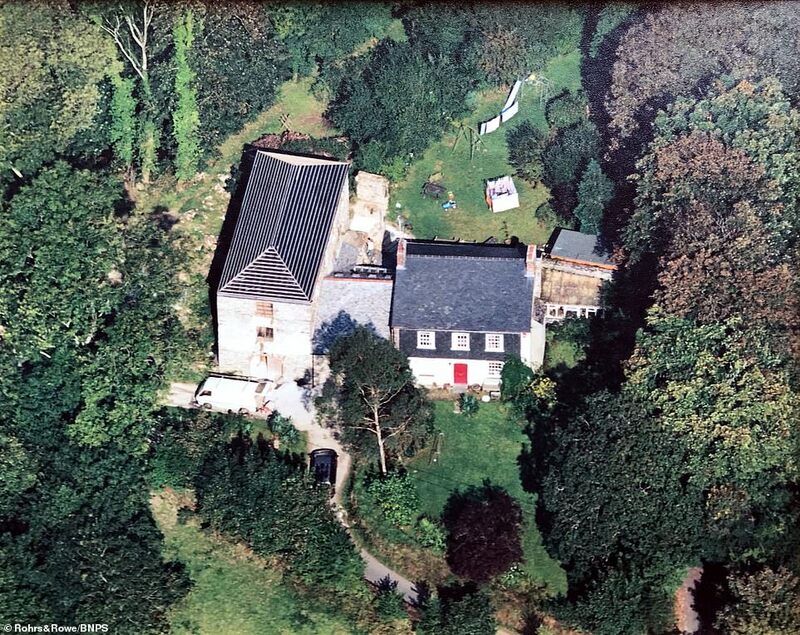 The house has lots of period featuers such a flagstone slate hallway and inglenook fireplaces. The house has 4,683 sq ft of accommodation with a kitchen, dining room, drawing room, sitting room, living room, study, library, a large living room, seven bedrooms and two bathrooms. 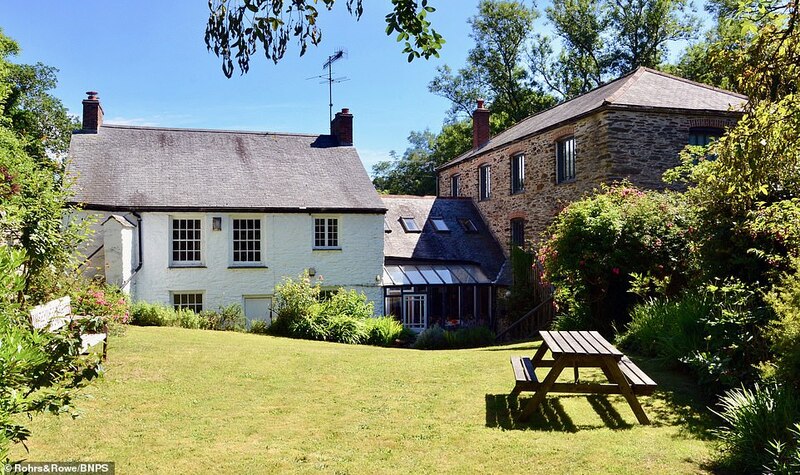 The Grade II listed property is made up of the miller’s house, which is linked by a wonderful vaulted room to the former mill building itself. 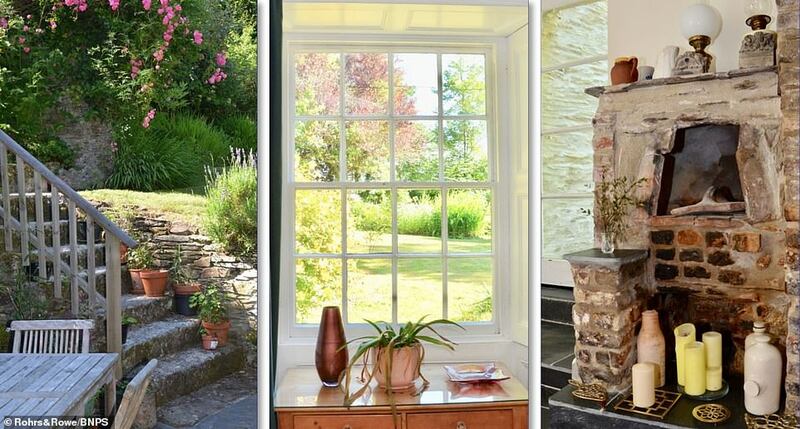 The house has lots of period features such a flagstone slate hallway and inglenook fireplaces. It is currently configured as one large home, but could be split into two parts to provide a profitable holiday let and a home. The pretty gardens run along the edge of the River Allen near Truro. 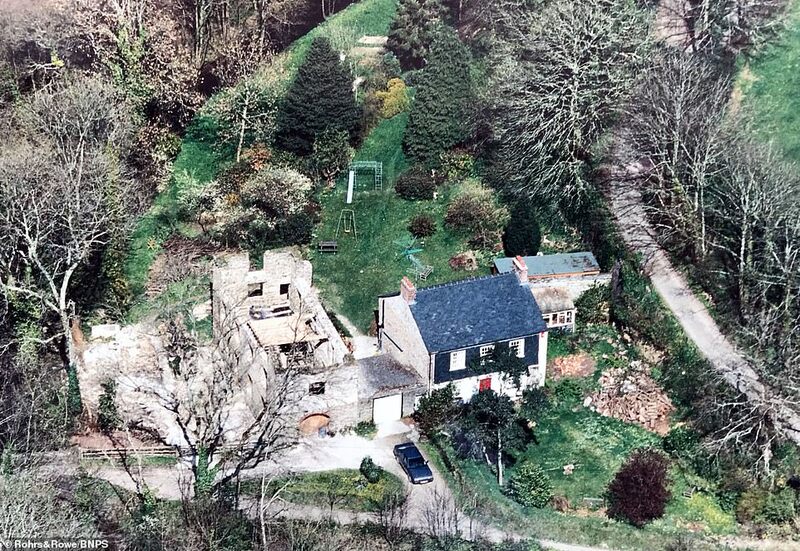 Matthew Rowe, from estate agents Rohrs & Rowe which has listed the property, said: ‘It’s a very interesting place, the owners bought it when it was semi-derelict and restored it. 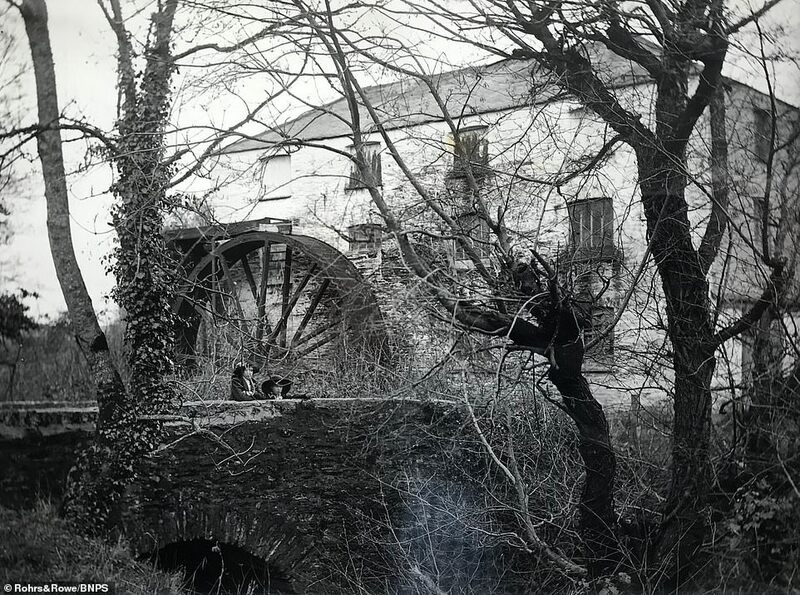 ‘The little river that comes along the side of it is one of the tributaries of the three rivers that define Truro – Truro in Cornish means three rivers. 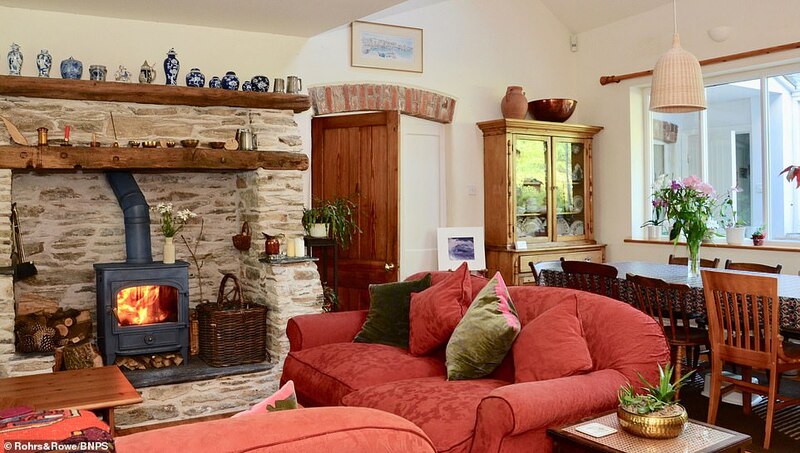 ‘Although it feels very private and you would think you’re right out in the countryside, it’s actually only about a mile from the centre of Truro and it’s easy to walk to. ‘So you get the best of both worlds really. 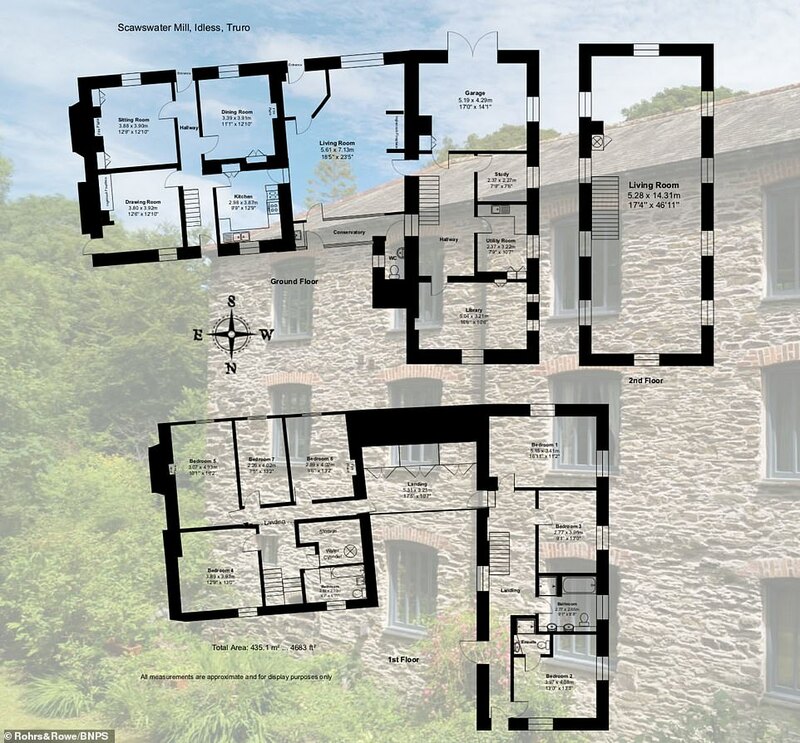 ‘At the moment it’s all one but it could easily be divided into the old cottage bit and the former mill building so you could live in one part and rent the other bit out. ‘We had someone look at it who wanted to run a yoga centre out of it, there’s all sorts of options. ‘The house is in about an acre of grounds, the garden at the front is south facing so you get the sun all day and at the back you get the afternoon sun. ‘The river is really pretty and full of wildlife – you get otters and fish there. ‘There’s a little public road that goes past the front of it, so you get a bit of hamlet traffic, but it really is a little country idyll.